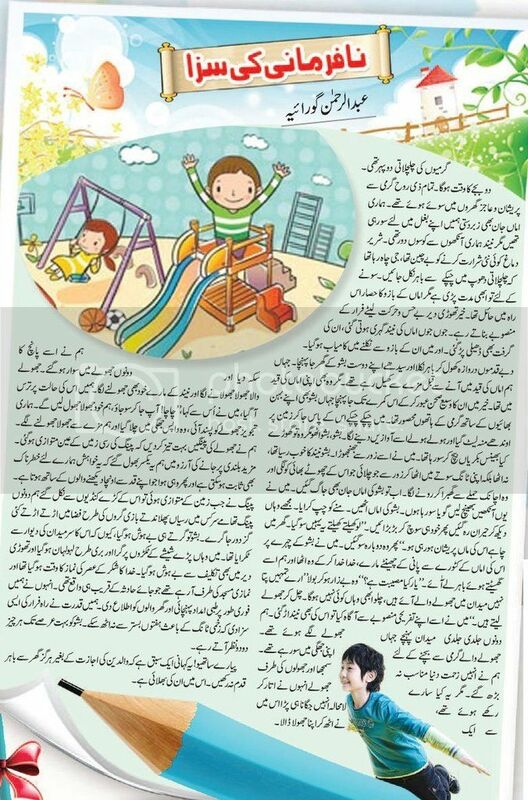 Waldain Ki Nafarmani Ki Saza Story in Urdu By Abdul Rahman Goraiya. Copyright The Daily The Jang Newspaper Pakistan. 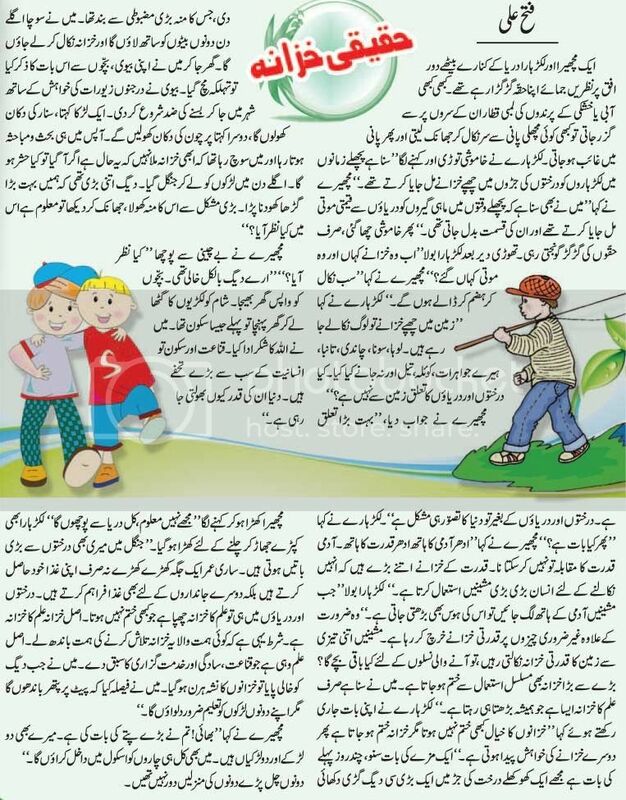 Haqeeqi Khazana Urdu Written Story By Fateh Ali 29-08-15. Copyright The Daily The Jang Newspaper Pakistan. Insaf Isay Kehtey Hain Urdu Kahani By Abu Urshian 29-08-15. Copyright The Daily The Jang Newspaper Pakistan. Chionti Ki Wardat Urdu Kahani By Muhammad Naeem Baloch. Copyright The Daily The Jang Newspaper Pakistan. Sunehri Chirya Ki Kahani By Doctor Naseer Nasir 22-08-2015. Copyright The Daily The Jang Newspaper Pakistan. Ammi Ki Nazam Urdu By Mirza Asi Akhtar 22-08-2015. Copyright The Daily The Express Newspaper Pakistan. Khuda Nay Usay Bacha Liya By Ashfaq Qadir Sangi Attock 22-08-15. Copyright The Daily The Express Newspaper Pakistan. Hathi Ka Badla By Muhammad Imad Baig Karachi 22-08-15. Copyright The Daily The Express Newspaper Pakistan.